Frontline gardaí have received no counter-terrorism training and are inadequately equipped to deal with an Isil attack, according to the body representing Garda sergeants and inspectors. Concerns have also been raised about intelligence gathering on potential Islamic extremists in the wake of the most recent terror attack in London on Saturday. It comes as two foreign nationals were arrested by gardaí with suspected links to terrorist Rachid Redouane, who previously lived in Ireland. The men were detained in separate counties. One man was using documentation linked to the terrorist while the other man is suspected of money-laundering offences. Last night, the president of the Association of Garda Sergeants and Inspectors (AGSI) said that cuts to community policing have effected intelligence gathering on terror suspects. "Most of the intelligence gathering comes from communities but there has been a huge reduction in community policing over the last five years," AGSI president Antoinette Cunningham said. "I have commended the London police on their quick response to the London Bridge attack, but I would have concerns about the Garda response time to a similar incident outside of Dublin," she added. 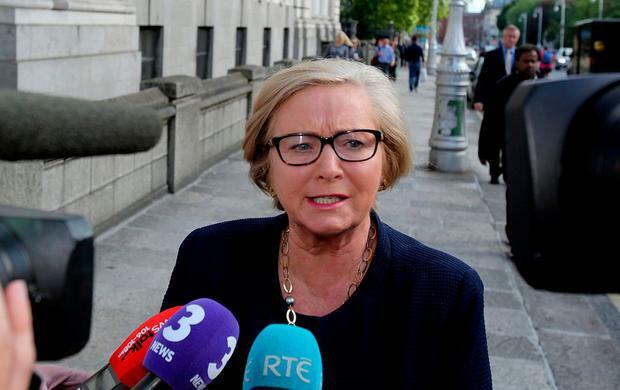 Ms Cunningham's comments are at odds with Tánaiste Frances Fitzgerald's statement that gardaí are sufficiently resourced to deal with such incidents here. Ms Fitzgerald, who is also Justice Minister, said: "Gardaí have in place the necessary operational measures in terms of intelligence, a well-trained and equipped special intervention capability and other national support resources." Ms Cunningham responded: "If the Minister for Justice is referring to gardaí being adequately trained then it must be specialist units and not front-line officers. I represent almost 2,500 gardaí and the majority are on the front-line, and we would have a very different opinion to the Minister of Justice in relation to front-line gardaí being resourced." Separately, security sources have also claimed Ireland is a hotbed for Islamic extremists. The Irish Independent has learned that although specialist gardaí are monitoring more than two dozen suspects, the exact number of jihadists who could be living in Ireland is "unquantifiable". The scale of potential Isil operations here was seen with two separate arrests, in different parts of the country within less than 24 hours, linked to killer Redouane. On Monday night, a Moroccan national was detained in Limerick after he was found in possession of documents linked to the London Bridge attacker. It is believed he was working as a waiter in the city while using a PPS number linked to Redouane. Detectives questioned him for a number of hours before he was released without charge. Then shortly after 5pm yesterday a second person with suspected links to Redouane was arrested by the Special Detective Unit (SDU). The man, also a Moroccan national, was detained under the Theft and Fraud Offences Act 2001 in Wexford town. The Irish Independent understands documents linking the arrested man to Redouane were found during follow up searches by London police. The man works in the catering industry. It has also emerged Redouane was refused asylum status in the UK in 2009. Redouane is first recorded here on November 7, 2012, when he married UK citizen Charisse O'Leary (38). They left before returning to Ireland in February 2015, while the last record of Redouane leaving Ireland was in March of last year. The Government has previously been criticised by the European Commission for failing to introduce information-sharing systems aimed at combating international terrorism and organised crime.